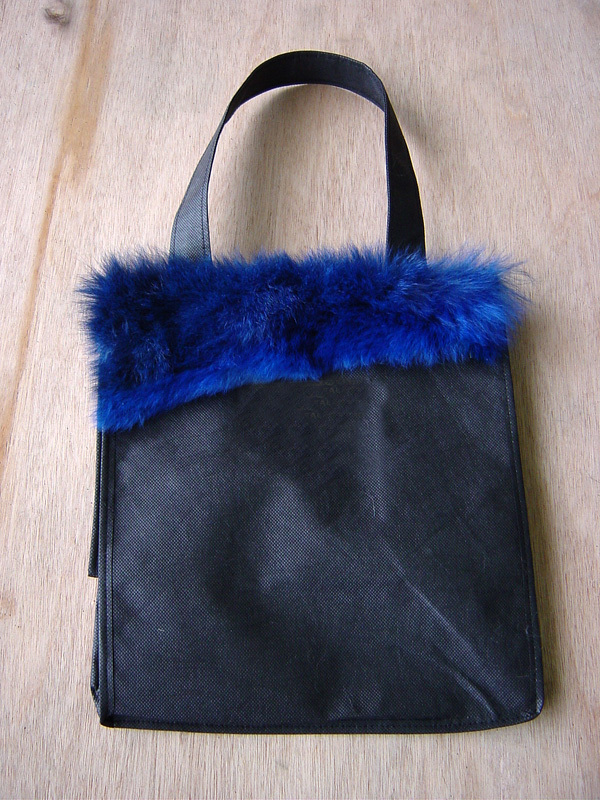 We've been trimming our black polypropylene eco bags with long possum fur offcuts for years affixing our own Possum New Zealand logo. We've also trimmed bags for corporate entities. There's been so much talk about reducing our carbon footprint, sustainability, getting back to nature and eliminating plastic packaging - well, stop talking and get into these amazing re-usable totes that are strong and soooo handy. Now we are releasing them in packs of 5 without branding for anyone who is interested in promoting environmentally friendly packaging. Measuring 42cm x 38 cm with long handles to sling over the shoulders, this size fits an amazing amount in volume and weight. Individuals: What an amazingly beautiful and no fuss way of "wrapping" your pressies. Or they are NZ gifts in themselves! Companies: Glue or sew your own logo onto these bags for promotional giveaways. 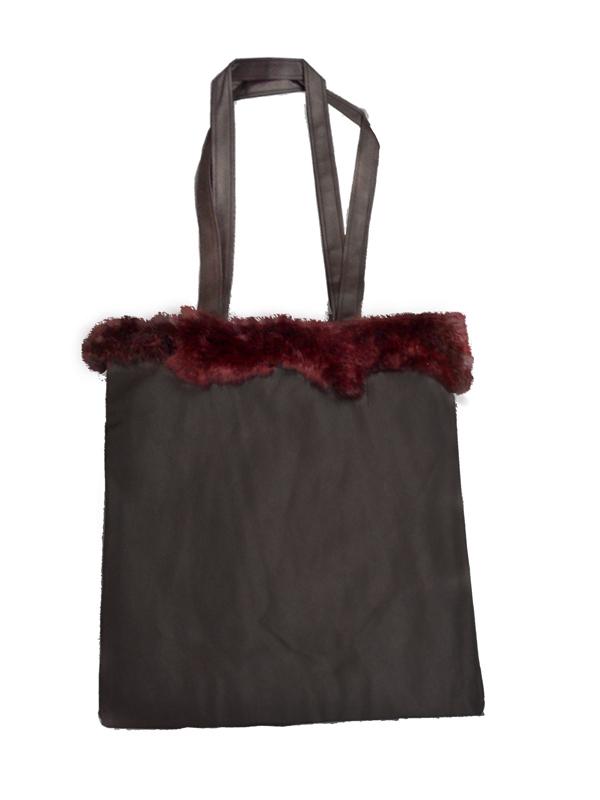 Shops: What a great alternative to the ubiquitous plastic or paper carry bag. What we do know is that no one ever bins these delectable eco bags as they also make excellent hold-alls for lunches, books, knitting and shopping. 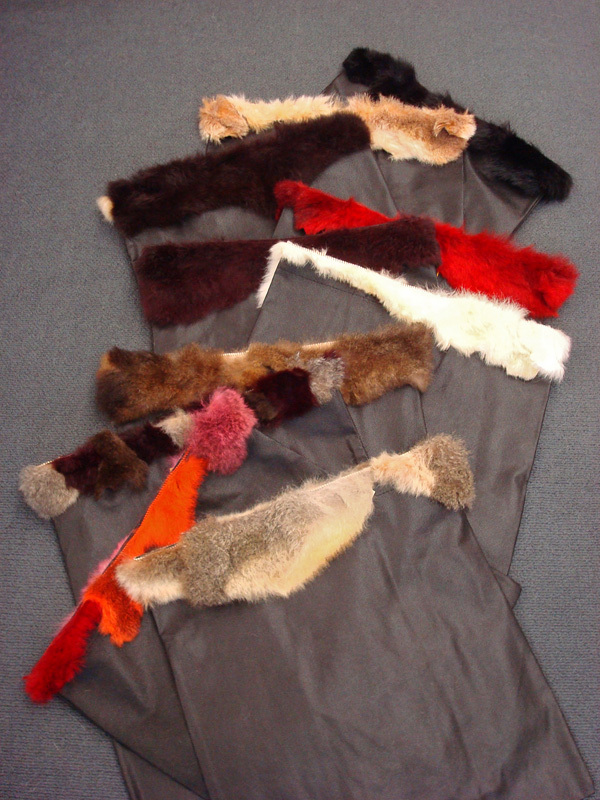 Select from natural fur trim colours of grey and brown. 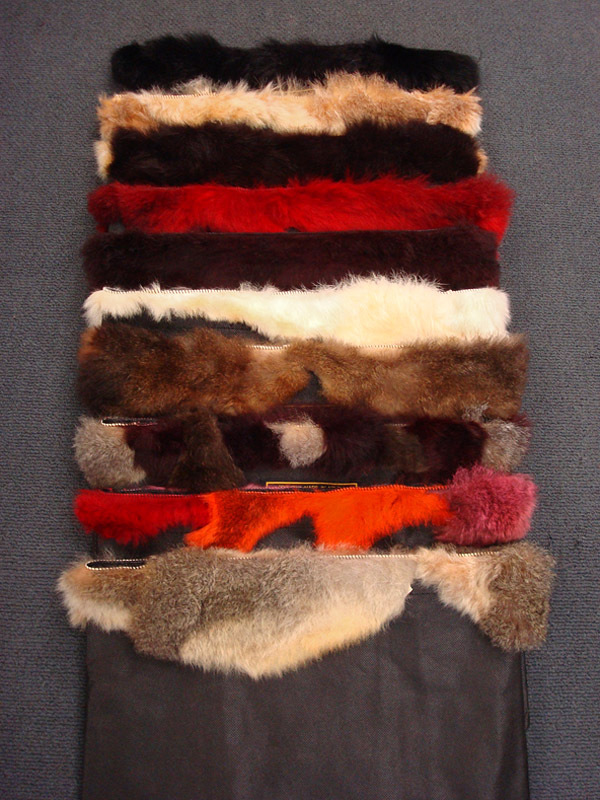 Or a coloured selection for a tad more would contain 1 natural and the balance being in dyed colours. Add some cut out possum fur scraps and decorate these bags with flowers, birds, or geometrics - get creative!